A lot can happen when women lace up steel-toed boots. For Sheila Martinez, a graduate of YWCA Toronto’s Pre-Apprenticeship Carpentry program for women, entering the skilled trades has been a life-changer. As a single mom who has always loved to do her own plumbing, work outdoors and solve problems with her hands, carpentry was a natural fit for Sheila. Not only was the work attractive, but it was a sustainable career offering financial stability. YWCA Toronto provides free Pre-Apprenticeship programs in partnership with George Brown and Centennial Colleges, putting women job seekers on the career path of well paid work where a woman’s salary and benefits are just the same as the man working beside her. Women make up 25% of the Canadian electrical workforce, but many are working in administration and marketing. To push back against gender stereotypes, young women need to be encouraged to enter technical vocations as a career. The jobs are there; by 2016, the electricity industry alone will need to recruit 23,000 new workers. The tools are here; YWCA Toronto’s Pre-Apprenticeship programs get women into hard hats and steel-toed shoes with a decent pay cheque in her hand. When Sheila completes her level 3 apprenticeship, she will earn in the range of $50 per hour, a far cry from the $13 per hour she made as a medical laboratory technician. Not only did YWCA Toronto’s Pre-Apprenticeship Carpentry program change Sheila’s life, but it also helped her model an independence and drive to her daughter that apparently has made a big impression. Her daughter wants to enter the trades as well and is pursuing a career in welding. 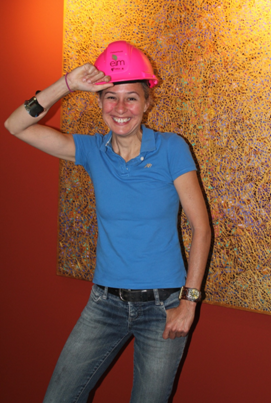 Hear what YWCA Toronto 2014 Woman of Distinction and groundbreaking electrician Cheryl Carbis has to say about being a woman in the trades by watching the video below. To learn more about YWCA Toronto’s Pre-Apprenticeship programs for women, visit our website or check out this Flickr album of testimonials from program grads.